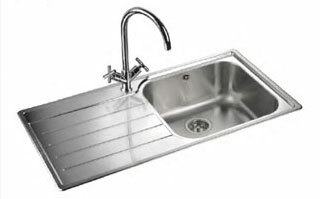 Rangemaster kitchen sinks are available in stainless steel, fire-clay ceramic or engineered granite. 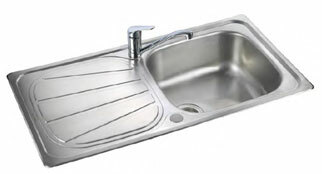 Stainless steel sinks are available in top mount or undermount designs. A selection of the most popular designs are shown below. The full range can be viewed in the online Rangemaster brochure, and many of the designs are on display in our showroom. When you have found right design to complement your kitchen worktops please contact us for a competitive price. The Oakland sink is a modern twist on a classic design. Offering a sleek and contemporary look, with a lustrous Micro-Sheen™ finish, the Oakland range includes a single bowl and 1.5 bowl version - a perfect solution whatever style of kitchen you choose, however big your family. 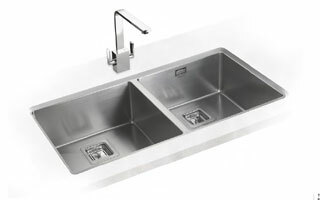 Chicago is a stylish stainless steel sink with an attractive curvaceous drainer pattern. 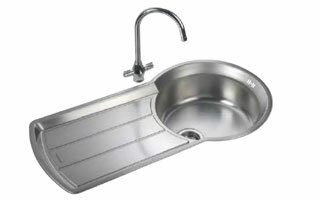 Manufactured from high grade 18/10 stainless steel with an attractive soft brushed Micro-Sheen™ finish, the Chicago consists of a large main bowl with a versatile half bowl, and useful additional waste feature in the draining area. Flexible in form and function, the Baltimore family includes compact, standard single bowl and 1.5 bowl variants. 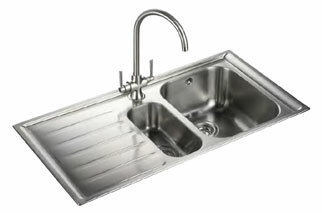 Utilising a stylish 'sun burst' design drainer and manufactured from high grade stainless steel with ground edge trim, the Baltimore collection hosts three quality sinks which are at home in either contemporary or traditional kitchens. The Cubix offers a striking contemporary design with solid, practical appeal. 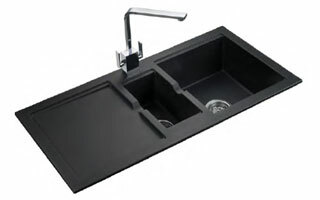 Incorporating a large main bowl, handy second bowl and a deep drainer, the Cubix sink is ideal as a food preparation area or as a washing up station.ns. 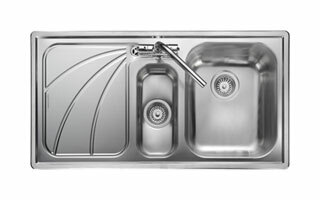 Enjoy the softly curved features of the Lunar sink, which boasts a spacious 1.5 bowls, the Lunar is made from a high quality synthetic material that’s incredibly robust. Its minimalist draining area is precisely angled to carry away water with ease, while its curvaceous bowls are easier to clean than angular alternatives as there are no tight corners to harbour food debris. 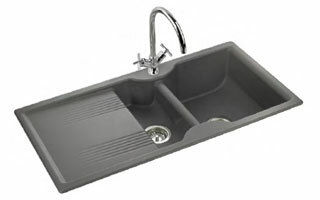 Designed to sit elegantly within a variety of kitchen schemes, the charming Portland fire-clay ceramic sink bears a smooth, high gloss finish, being both easy to clean and extremely durable. A choice of single bowl or 1.5 bowl variants offers flexibility to suit your everyday use. The Nevada collection offers a unique blend of ceramic durability and ultra contemporary styling. Made from high quality fire-clay and glazed to a rich silky lustre, the Nevada is a joy to live with. 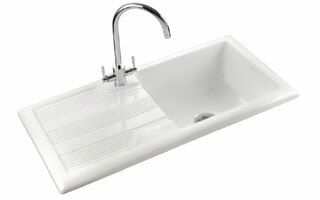 With sleek bowls and a deep recessed drainer the sink is easy to clean and extremely hard wearing. Available in single bowl and 1.5 bowl configurations, the Nevada is available in contrasting black or white. 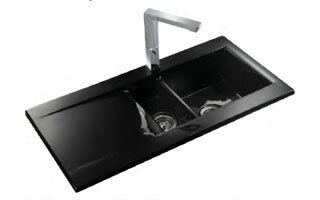 Modern, innovative and beautifully understated, the Keyhole is a truly unique concept in sink design - an example of form and function in perfect harmony. Its large, round bowl is ideal for rinsing large pans and woks, while a deep, recessed drainer provides useful additional space for food preparation. The recess also ensures no water spillage when you’re draining larger items.